The highest view level gives an overview of the entire application to debug. Views belong to this level are always available and are single instances. The class overview displays all loaded classes. Classes are arranged in their packages. 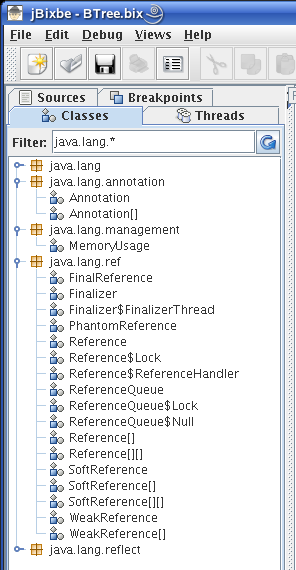 By using a filter the overview can be restricted to desired classes. The thread overview hierarchically lists all threads and thread groups. 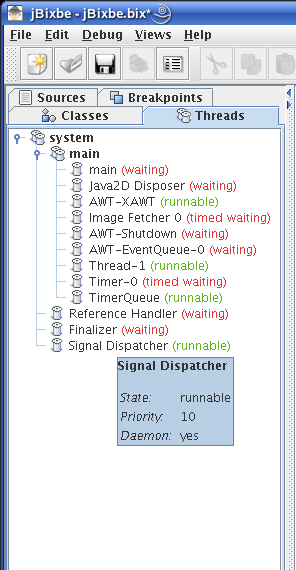 Additionally, priority and daemon property can be displayed for threads and thread groups. The source code overview manages all mounted application sources. 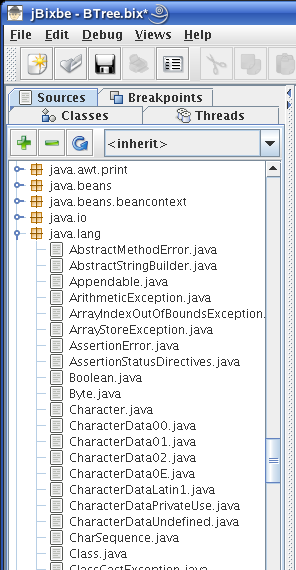 The source files are ordered by the packages of contained classes in a flat hierarchical view. 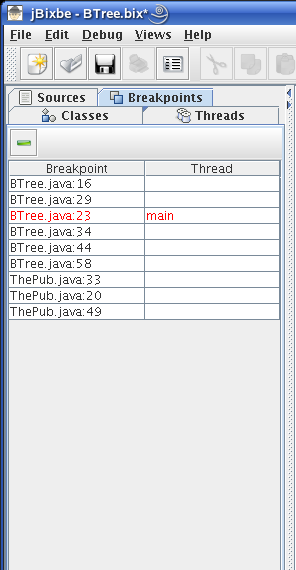 The breakpoint overview handles all created breakpoints and highlights them when they are reached.